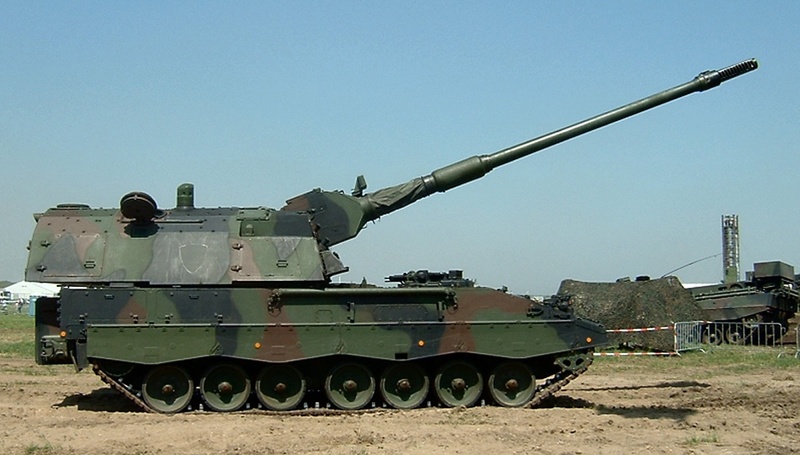 Krauss-Maffei Wegmann from Germany has signed a contract with Qatar for the delivery of 62 Leopard II Main Battle Tanks and 24 PzH2000 Self-Propelled Howitzers / Guns. Qatar wants to modernize its armed forces due to increasing tensions recently in the middle east and the new acquisitions are intended to achieve that goal. Other purchases such as the Javelin missiles from the United States are part of the effort. The contract, including related equipment, training and other services, is estimated to be €1.89 billion or about $2.5 billion. Last year, Qatar had expressed interest in acquiring up to 200 Leopard 2 tanks. The Leopard 2, depending on version weighs over 60 tons and carries a 120 mm smoothbore gun as its main armament. It is operated by a crew consisting of the driver, commander, loader and gunner. The tracked PzH2000 is a 155 mm and 52 caliber Self-Propelled Howitzer with support for Multiple Rounds Simultaneous Impact (MRSI), where 5 rounds are fired in sequence and impact simultaneously. The PzH2000 has a very high maximum rate of fire of up to 13 rounds per minute. The diesel-powered vehicle is operated by a crew consisting of the driver, commander and gunner. Qatar currently operates the French AMX-30B2 tanks and South African G5 towed 155 mm howitzers that were acquired back in the eighties and will have to be replaced. 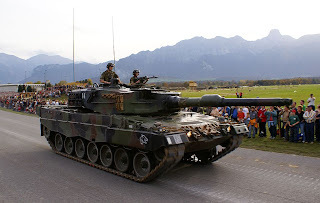 Krauss-Maffei Wegmann, in cooperation with other German defense companies such as Rheinmetall, is now looking at selling hundreds of Leopard 2A7 tanks and Boxer Infantry Fighting Vehicles to Saudi Arabia.